IMPORTANT: LARGE LOTION BARS will likely DELAY your order (even if the "rush shipment" option is chosen). Therefore, we RECOMMEND that with TIME SENSITIVE shipments, putting in a separate order for these items to avoid the entire order being delayed. Lotion Bar is a solid lotion containing no water, glycol or similar products found in liquid lotion and no mess application. With this said, with lotion bars, less is needed for a moisturized effect which makes lotion bars a much better value than the common liquid lotions. After testing locally we have amazing reports with our beeswax formula and very positive results for the vegan formula as well. Lotion bars will be labeled with a "generic Label" that is small enough to be covered with a different label but attractive enough to sell on your retail shelf "as is". 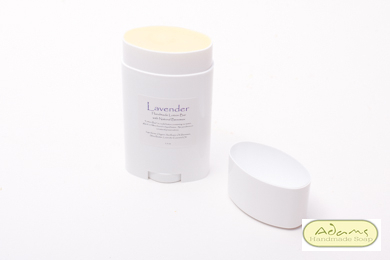 We are now only selling the "twist up" oval deodorant shape. IMPORTANT: Lotion bars and lip balms are "heat sensitive". In the summer time they may melt in shipping depending on your region. If your area is HOT you may consider not ordering lotion bars until the weather cools. 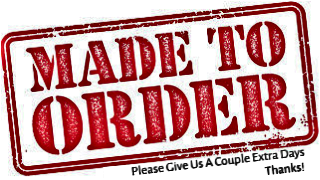 We will not be responsible for product that is melted in shipment, this will be solely at the discretion of the purchaser.